Avi Reichental is the president and CEO of 3D Systems. This year’s Eagle Star Award for Deal of the Year is going to 3D Systems, a company based in Rock Hill, S.C., that specializes in “advanced and comprehensive 3D digital design and fabrication solutions” for the health care industry, according to American-Israeli business connector Conexx. Conexx is giving the award in recognition of 3D’s acquisition of two Israeli companies, Simbionix and Cimatron. 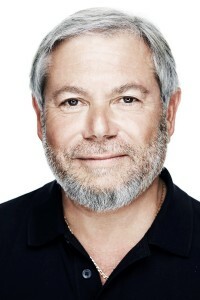 Avi Reichental, the president and chief executive officer of 3D Systems, answered the Atlanta Jewish Times’ questions about the deal via email. AJT: What was it about Simbionix and Cimatron that attracted 3D Systems? Reichental: Over the last six months, 3D systems invested roughly one quarter of a billion dollars in Israel through the acquisition of two leading high-tech companies. The first company is Simbionix. One of the fastest-growing verticals in our business is personalized medicine, and, for a long time, we had looked at companies in virtual reality and surgical simulation as a means of extending our integrated end-to-end health care solutions — what we call our “Digital Thread” — from the training room to the operating room. It turned out that Israel-based Simbionix was the leading entity in 3D virtual reality training, simulation and rehearsing of complex medical procedures. So acquiring Simbionix made perfect sense. The second company is Cimatron, one of the leading computer-aided manufacturing software entities in the world. We concluded some time ago that we could put together a seamless digital workflow that stretched all the way from design to manufacturing and provided interoperability with traditional manufacturing methods. Cimatron’s technology was the perfect strategic fit to achieve this goal, and the acquisition also brought to us expanded capabilities in product development as well as expanded channel coverage. AJT: How will this deal help the company? Reichental: Simbionix has developed capabilities in 3D virtual reality that can ultimately take patient-specific data from CT scans and MRIs and feed them into a virtual reality simulation system that allows surgeons to train, plan and deliver a variety of patient-specific procedures. Combining this with our existing technology and expertise allows us to deliver not only the simulation training and rehearsal, but also the 3D printing of actual medical instruments and implants that make the whole procedure more predictable and efficient. The overall goal here is to improve patient outcomes by advancing the capabilities and possibilities within personalized medical procedures. This, we believe, will be the future of health care. AJT: Has 3D Systems worked with Israeli industry in the past, and will that continue? Reichental: Israel is a very exciting, fertile ground for high-tech companies, and it has significant talent and expertise. It continues to be very attractive for 3D Systems to build and expand our base in the Start-up Nation. It means the opportunity to really harness all these talents and resources and use them to ultimately deliver better products. But it’s important to keep in mind that we completed both acquisitions first and foremost because these two companies are the global leaders in their field. And this made both Simbionix and Cimatron very attractive for us as we invest in the future of 3D printing.